I’ll be the first to admit that I’m not your typical minimalist. In fact, if I use Gretchen Rubin’s categories of over buyer vs. under buyer, I definitely fall into the over buyer camp, which is a far cry from the standard minimalist protocol. As an over buyer, when I run out of toothpaste, I don’t just buy one new tube the next time I’m at the store. Instead, I buy three tubes so I know I’m set for a while. Similarly, if I find a shirt that I absolutely love, I’ll buy it in a few different colors; I’m picky about my clothing, so when I finally find that “perfect something,” I want to wear it all the time! Where my minimalist lifestyle does come in to play, however, is with clutter. But wait, how can my loathing of clutter possibly align with my over buyer tendency, you ask? Great question. As I mentioned a few weeks ago in my capsule wardrobe post, if I purchase a two new shirts and a pair of shoes, I know that I have to donate two old shirts and a pair of shoes when I get home. And the same goes for kitchen utensils, beauty products, etc. My mantra is: one comes in, one goes out. Essentially, I surround myself with things that bring me comfort and contentment, but I don’t let them pile up. For me, clutter often leads to a feeling of chaos and overwhelm. By being mindful of my purchases and how I decorate my home, however, I strive to ensure that everything is either functional, brings me joy, or – best case scenario – BOTH! As I reflected on this lifestyle, I realized that I’ve essentially combined the practices of both hygge and minimalism. So if cozy simplicity sounds like your cup of tea, then you’re in luck. 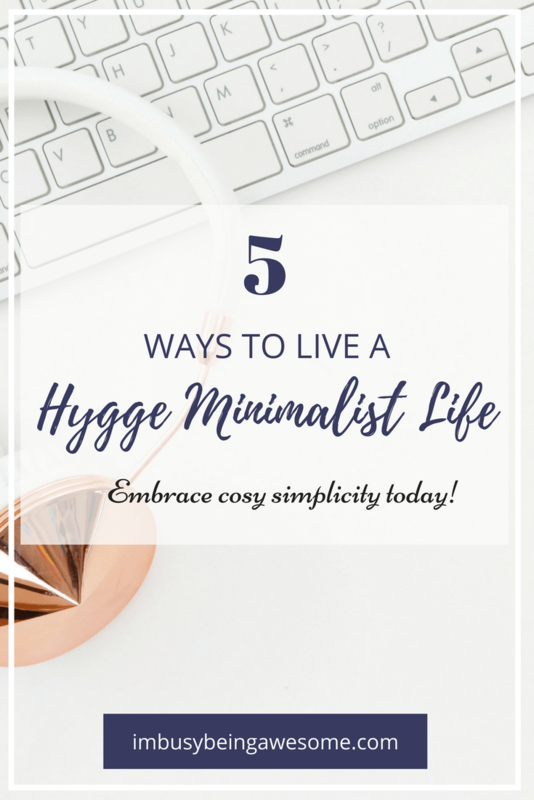 Today’s post shares my top five tips for hygge minimalist living. Check them out now! A big part of minimalism is embracing open space rather than stuff. But remember, we are celebrating the hygge minimalist lifestyle. And this means that open space doesn’t necessarily equate to the classic minimalist aesthetic of cold, stark interiors, and sterile white walls. Instead, open space simply means getting rid of the extra stuff that does not meet our two criteria: it is functional, and/or it brings you joy. So YES, you can keep your child’s drawings hanging on the refrigerator. But those coupons that expired six months ago? Yeah…it’s time for them to go. As you embark on the decluttering process, set aside the items that provide you with special meaning. Perhaps it is a handmade quilt that your grandmother made you as a child. Maybe it is a framed photo of your family Christmas card from 10 ago. Or maybe it is a set of embroidered dish towels you received for your wedding. Whatever speaks to you is perfect. These are the important things you want to keep. These are the things that bring you joy. Pictures of pictures…we’re getting meta here. 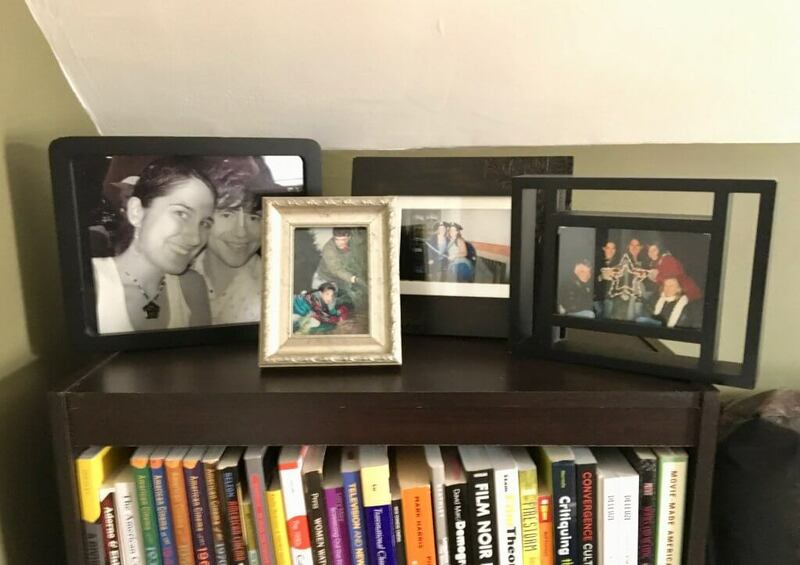 My bookshelf is the first thing you see when you in my office, and it’s filled with pictures of those I love. Choose a Focal Point for your room. Once you’ve highlighted those special items, take some time to incorporate them throughout your home. If possible, make them the focal point. Every time you walk into a room, the centerpiece is where your eyes first look. By making these special pieces the centerpiece, you create a special reminder for yourself. You establish an environment of warmth, comfort, contentment, and love. Essentially, by sharing your personality through your decor, you bring your home to life. Along a similar vein, if you decide to redecorate a room, or you’re on the hunt for a new piece of furniture, don’t just buy whatever’s the most convenient. Instead, look for special items that speak directly to you. This might mean going to a high-end shop near your home. Perhaps it means ordering a unique piece online from a store like Modern Digs (www.moderndigsfurniture.com). Or maybe you’re like me, and you love scouting out thrift shops and garage sales for that perfect one-of-a-kind item. Any of these options are great. The important thing is surrounding yourself with things that have meaning to you. I n the world of hygge, light is one of the most important elements. 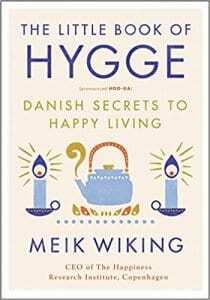 As Meik Wiking explains in his captivating book, The Little Book of Hygge: The Danish Secret to Happy Living, “Danes are obsessed by lighting in general.” And I’m talking any kind of light, whether it’s electric, natural, or candle lit. Since we are embracing hygge minimalist living, we clearly can’t overlook the role of light. So as you declutter, rearrange, and highlight your favorite pieces of decor, keep the lighting in mind as well. Open up the shades and let in the natural daylight. Swap your standard light switch for one with a dimmer, which allows you to control the soft pools of light all around you. And of course, don’t forget the candles. So, there you have it, friends. 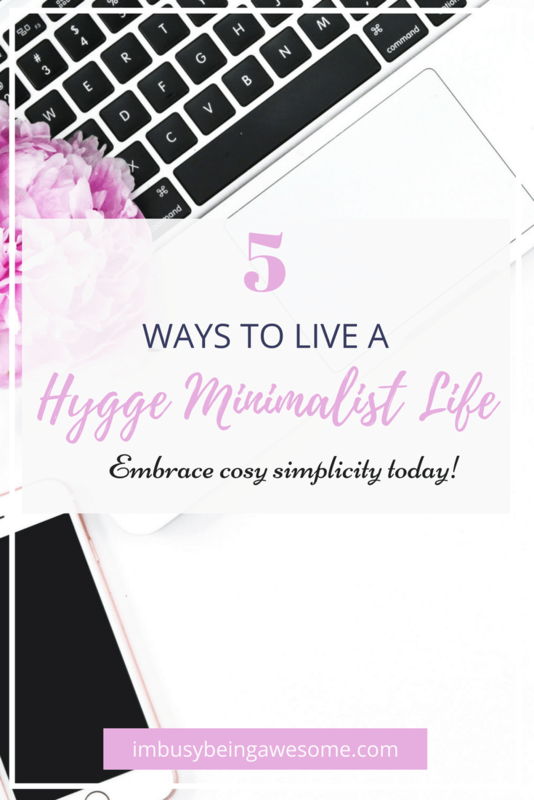 It is possible to embrace both hygge and minimalism with a hygge minimalist lifestyle. Want to learn more? Download my free workbook, which walks you through the process step-by-step, and start living a cozy, simplified life today! 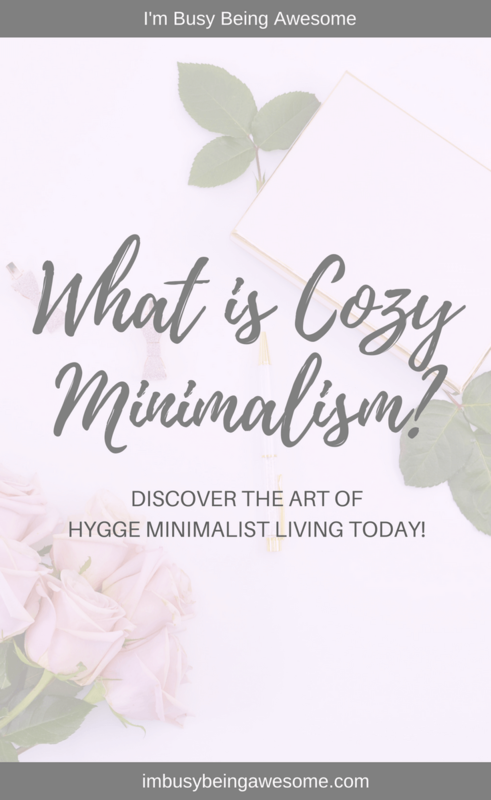 Do you practice hygge or minimalism? 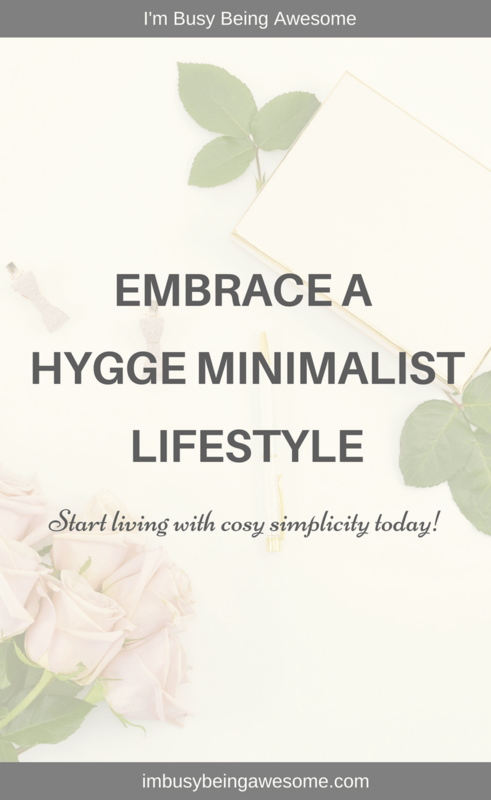 What do you think about creating a hygge minimalist lifestyle? What are some of your favorite items in your home? Do you decorate with light? Let me know below! This looks awesome!!! I have so much stuff in my house that I’m not sure I would know where to begin, especially with a little boy! I love this! Clutter is definitely my worst enemy too! My husband always gets on to me about getting rid of things but I just can’t stand clutter. I’ve been wanting to declutter our whole house but I haven’t had the time lately. Maybe during my maternity leave I will. I’m also obsessed with decorating with natural light! I just wish it wasn’t so hot in Florida. The natural light heats up on home so quickly. Oh I bet! Seeing as I live in Boston, and we just had a “wintery mix” warning today (on April 19!! ), heat from the sun is not on my radar – ha! I found an interesting fact that storage units weren’t even around in the 1960’s. However, you can find my storage units centers around today because now we are paying other to store our stuff. How crazy is that? I keep paring down and paring down because I have come to love the open spaces. Yes, I have those things I love, but there is nothing I am loving more than the freedom of open space , less mess and more time to do the things I love. That’s crazy! I had NO idea. And I completely love your statement “freedom of open space.” That is so true! I love your idea of ‘one comes in, one goes out’. We live in a small 1920’s apartment in Chicago and I have to live by that theory! Thanks for all these great ideas! This is a really interesting concept! I like both the idea of hygge and minimalism but never thought about combining them. This is great! Love Hygge and love that book! I’ve done some presentations on Hygge for Interiors and have gotten great response! That’s so awesome, Erin! I love that. yes! Such a great way to live! Decluttered but still personalized. Love this! I love, a clutterfree cozy space, there is something so soothing about it! Great post! I love that when you purchase something new, you force yourself to donate an older one of the same. It’s a strategy that a lot of people could benefit from. Definitely me. I have an old smart phone collection growing in my closet! I feel like this is the constant battle in my house! Recently I’ve been trying to go through every closet, drawer, shelf, etc once a year and get rid of stuff we don’t need. It’s so refreshing! Yes! It feels incredible to get rid of all the “stuff” doesn’t it? I’ve been thinking of decorating my room in the Hygge minimalist style. It’s so refreshing!